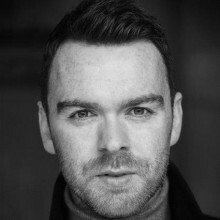 Born in Paisley, he is a versatile Scottish voice-over artist with a warm, direct, engaging and friendly voice. Since graduating from the RSAMD in 2007, he has worked in various theatre productions throughout the UK. He has also appeared in Shetland, Taggart, Rebus and Hollyoaks. Recently, he has been involved in several campaigns for Mackie’s Ice Cream on TV, radio and online.